The temperatures nosedived into the low 20's overnight and wintery precipitation is expected to start falling from the sky very soon. Three consecutive days of below freezing temperatures seem to be in the forecast. It is going to be cold. I'm not sure I'm ready for the freezing temperatures and snow. On a brighter note, I filled up with gas last evening and was happy to pay $2.219 for gas. Wow! I never would have believed that a year ago. 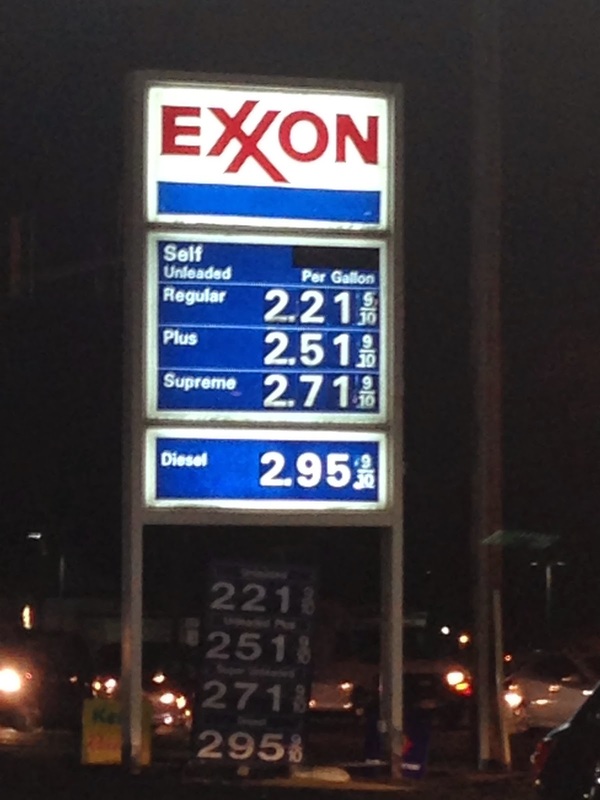 At least the arrival of cold weather has brought lower gas prices. I know that much of the rest of the country has been suffering the freezing temperatures, but I had hoped the Baltimore region would be spared. It is not to be, the first real winter weather event of the year is here. What is Wrong with Football?